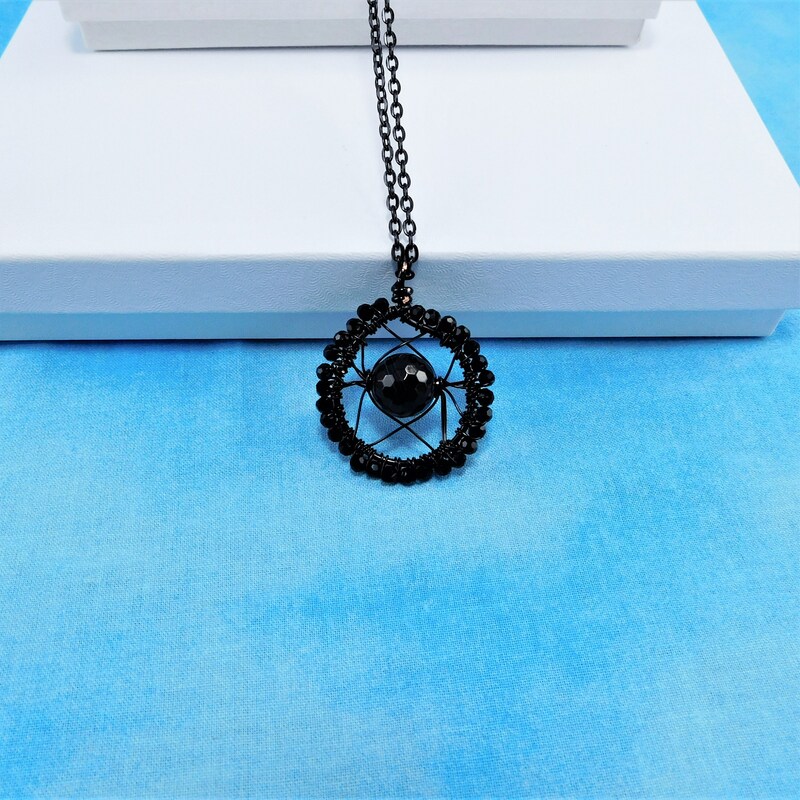 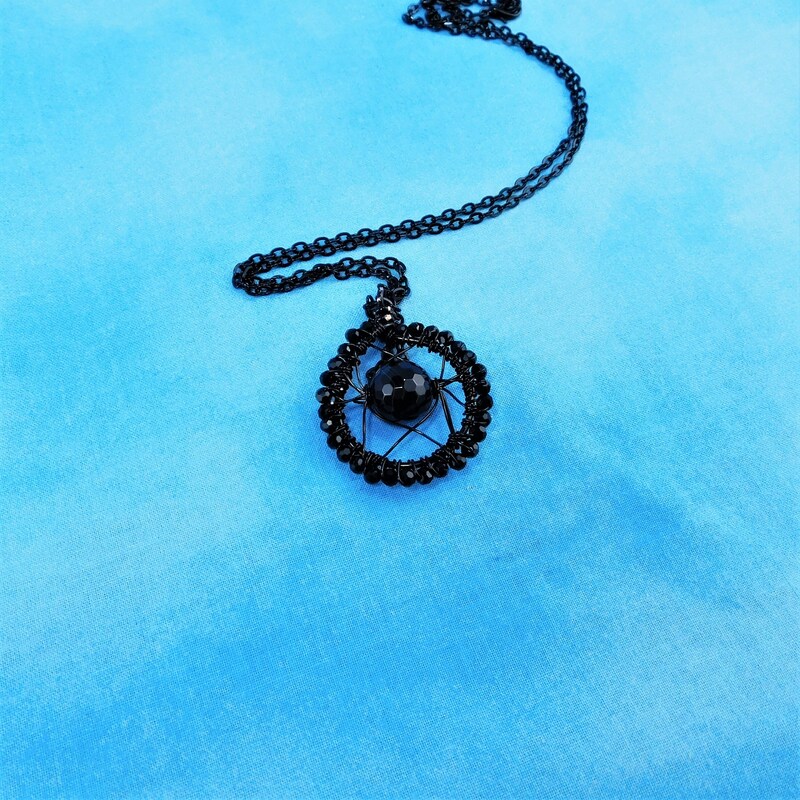 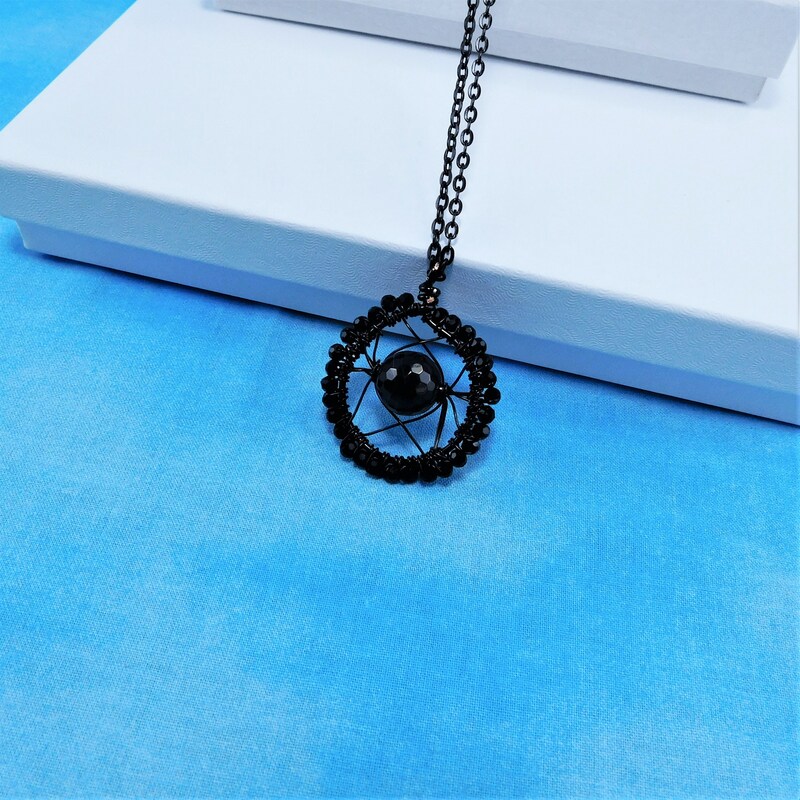 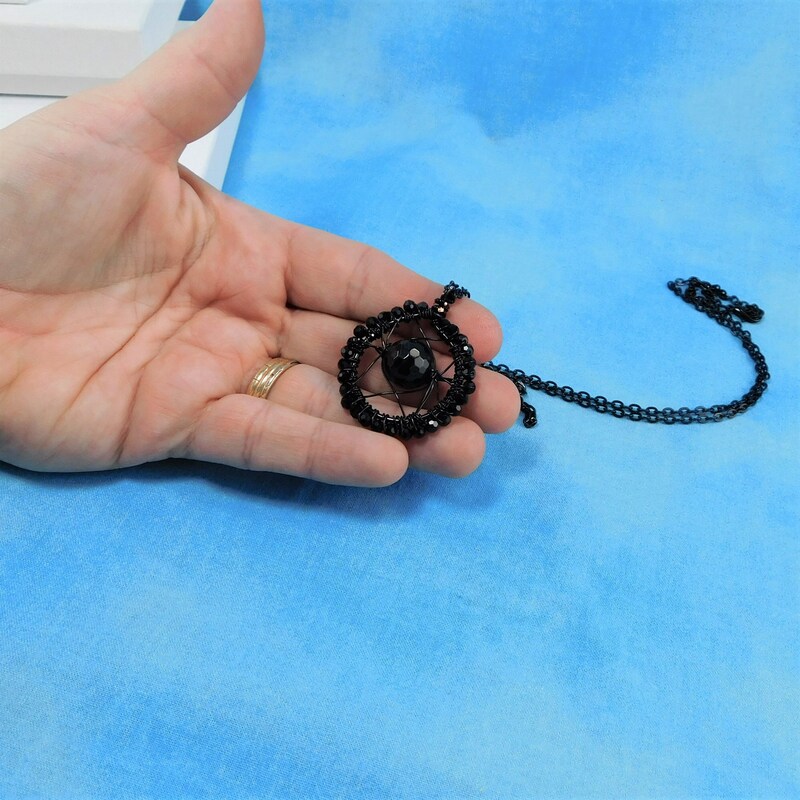 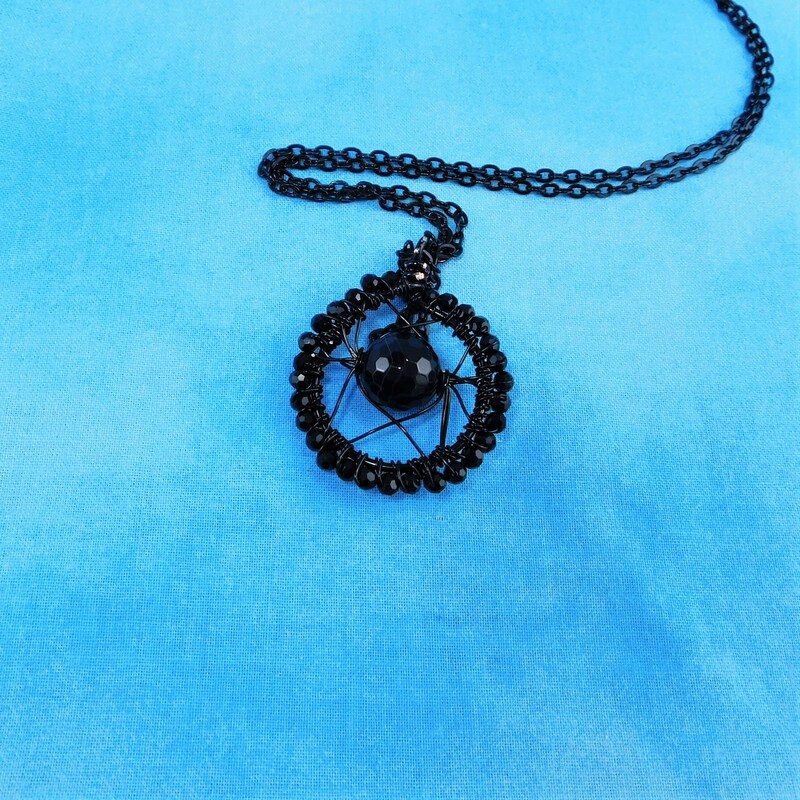 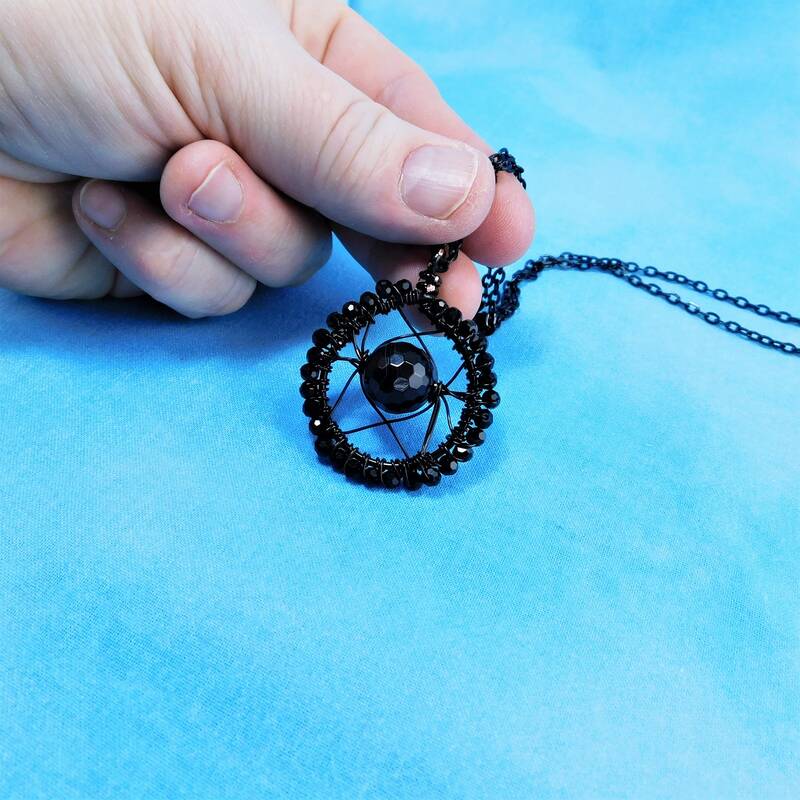 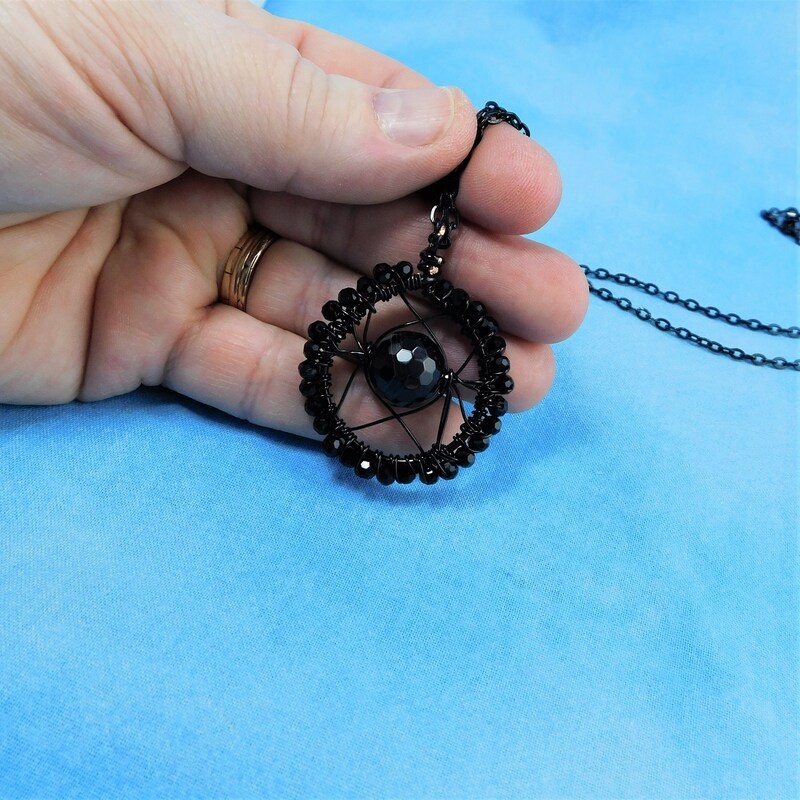 A 1 1/4 inch inch circle of black colored copper wire, wrapped with black crystals, frames a lightly faceted black onyx bead. 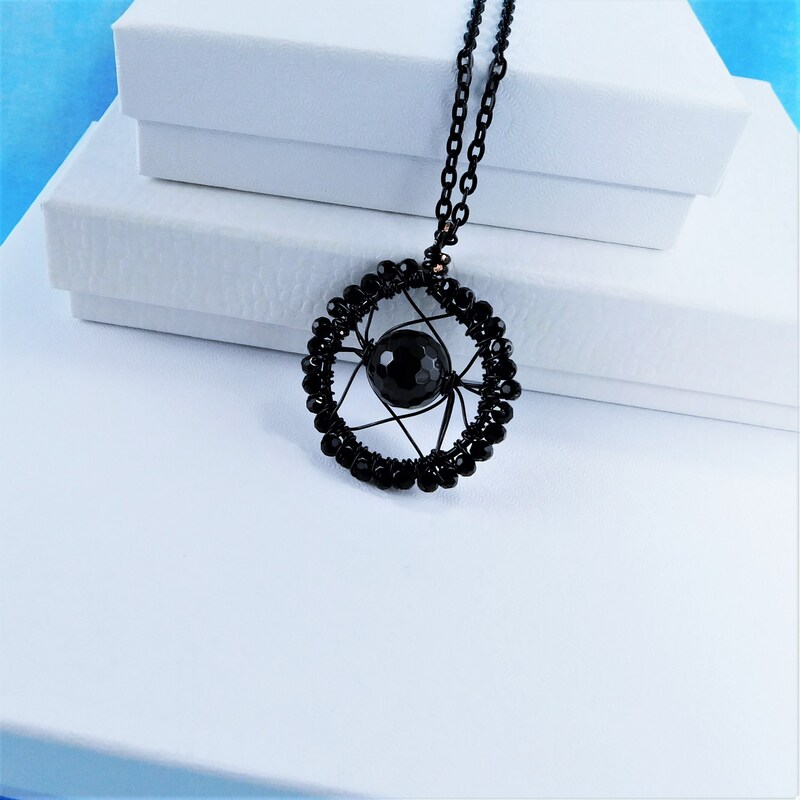 The shine and flash of the crystals set off the facets in the onyx, creating an eye catching focal point for any wardrobe choice. 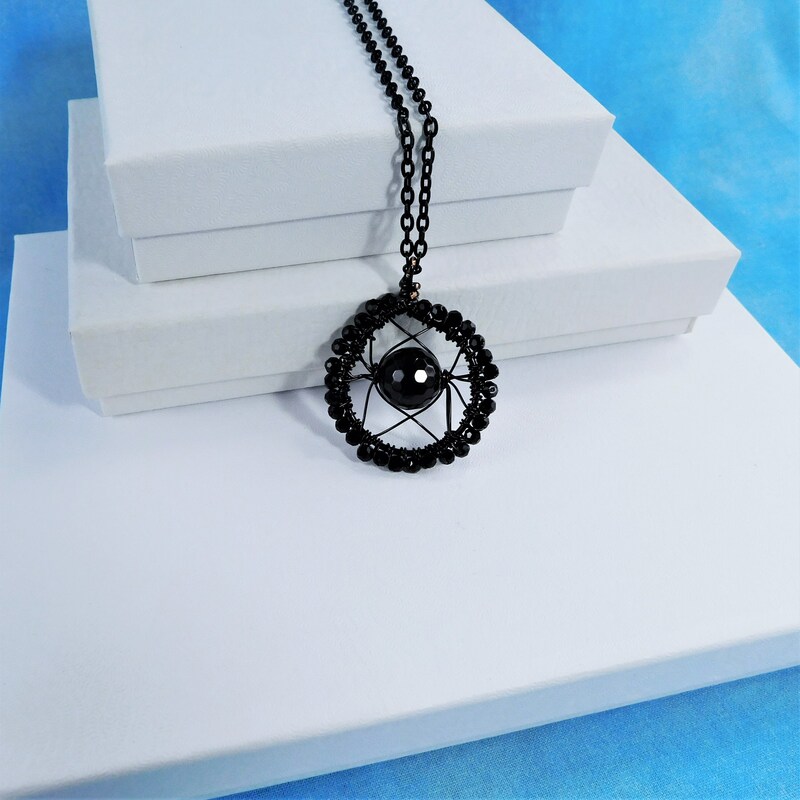 The artisan crafted pendant is simple but elegant, and will be the perfect accent for many types of attire. 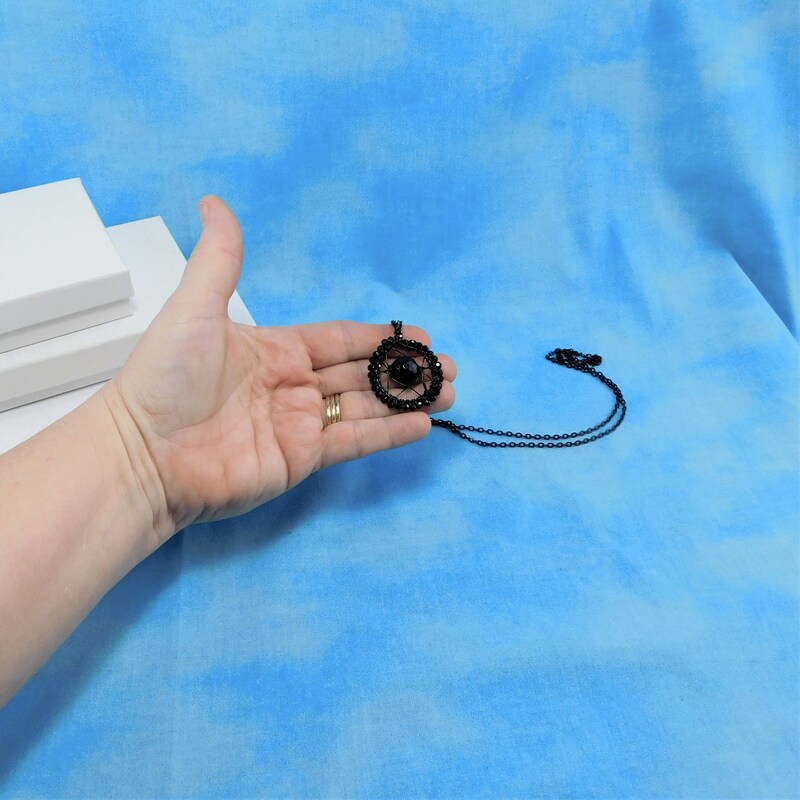 This artistic handcrafted pendant comes with a FREE coordinating chain with lobster claw clasp, measured to your preferred length.